John is a trial lawyer. He is involved in some of the most challenging and complex cases. He has a record of success in resolving these cases when settlement seems all but out of reach or by trial. 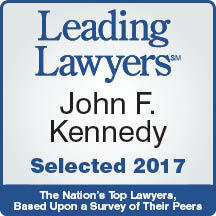 John is often retained by clients in "bet the company" cases and business emergencies. With thirty years of experience as a trial lawyer, John brings his trial skills, knowledge of the law and the courts, and experience in working through highly contentious disputes to the table. His cases include commercial disputes, pension reform, theft of trade secrets, partnership disputes, trust and fiduciary disputes, unfair business practices, restrictive employment covenants, unfair government regulation, sexual harassment, environmental litigation, energy litigation, construction litigation and land dispute, among others. John has substantial experience in helping clients with business emergencies of all kinds. For example, John worked more than thirty hours straight and obtained an emergency temporary restraining order in federal court on behalf of a client to preserve its source of electrical energy for its manufacturing operations. For the last twenty-nine years, John has been a member of the Federal Trial Bar, has first-chair trial experience, and has tried numerous cases to judgment. John also has appellate experience. His litigation experience includes prosecuting and defending appeals in both state and federal appellate court. John served as a guest lecturer at the Honorable Society of Kings’ Inns in 2017 and 2018 in conjunction with the Chicago Kent College of Law. He served as Host and Guest Lecturer of visiting Irish Barristers in Chicago, Illinois in 2016 in conjunction with the Chicago Kent College of Law. John has also served as an Adjunct Professor (Accelerated Trial Advocacy for Intellectual Property, including misappropriation of trade secrets, trademarks and patents) at the John Marshall Law School in Chicago. Additionally, John has served as an Instructor at the Illinois Professional Responsibility Institute, which is an arm of the Illinois Supreme Court. John has been awarded an AV® Preeminent Peer Review Rating from Martindale-Hubbell, its highest possible rating for ethical standards and legal ability. 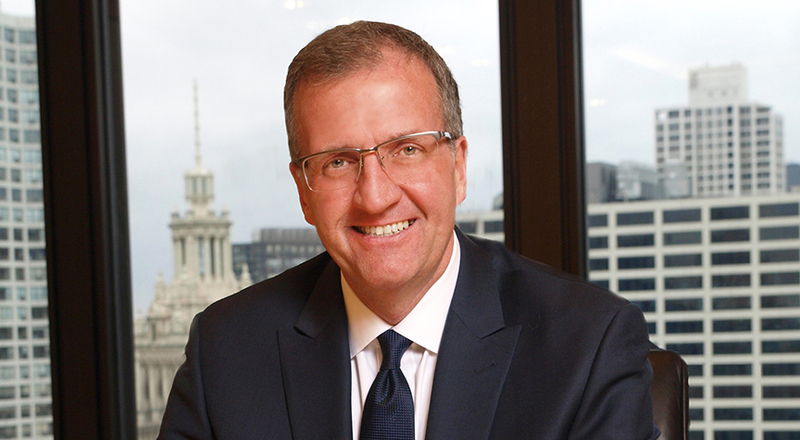 He is named a Top Commercial Litigator by the Leading Lawyers Network, which consists of the top 5% of Illinois Lawyers, as selected by his peers. John has also been recognized as one of Chicago's Top Lawyers for 2018 in recognition of excellence and achievements by the legal community, as published in the Chicago Tribune. He received his B.A., with honors, from Niles College of Loyola University of Chicago and his J.D., with honors, from DePaul University College of Law. WTTW, Chicago Tonight, April 14, 2016. Quoted in his capacity as General Counsel of the National Alliance on Mental Illness (NAMI) Chicago, participated in the roundtable discussion on the Police Accountability Task Force Report. NAMI Chicago advocates for the rights of those in our community living with mental illness. John is featured at minute 29:39. State Journal Register, "State appeals court upholds FutureGen power agreement," July 22, 2014. Quoted in his capacity serving as counsel to the alternative power suppliers—commenting on the impact the ruling will have on Illinois ratepayers. Chicago Tribune, "Creditors Win Right to See Bank Accounts of Millionaire's Sons," January 15, 2011. Quoted again in his capacity serving as counsel to Plymouth Consultants—arguing for the recovery of money loaned to bankrupt North Shore businessman. Chicago Tribune, "Estate of North Shore Businessman under Judge’s Control," October 7, 2010. Quoted in his capacity serving as counsel to Plymouth Consultants of the British Virgin Islands—arguing for the recovery of money loaned to bankrupt North Shore businessman whose debts amounted to $20 million before his death in December 2009. Successfully obtained two supervisory orders from the Illinois Supreme Court regarding judicial misconduct in two separate cases. Successfully represented a public utility relative to the appropriate forum in which consumer claims may be brought. Successfully represented the Village of Matteson in a lawsuit against the owner of Lincoln Mall, seeking permission from the court to close the property due to a multitude of building and fire code violations. A judge ordered the mall to close after the holidays on January 7, 2015, more information on the case can be found at NBC Chicago, Chicago Real Estate Daily and Chicago Tribune. Past coverage of this case can be found at Chicago Tribune, Southtown Star, NBC Chicago, CBS Chicago, ABC Chicago, WGN-TV, WBEZ, Chicago Real Estate Daily, Northwest Indiana Times, and Southtown Star . Successfully secured a $10.4 million judgment in a coverage dispute against National Union, an affiliate of AIG, following a bench trial before Judge John W. Darrah of the Federal District Court for the Northern District of Illinois. See Pacific Employers Insurance Company v. Clean Harbors Environmental Services, Inc., et al. v. National Union Fire Insurance Company of Pittsburgh, P.A., No. 08 CV 2180. Successfully secured an arbitration award in the amount of $4.7 million in a dispute involving the rights and obligations of a coal mine operator under a coal mine lease. Successfully obtained a temporary restraining order and preliminary injunction, both of which were affirmed on appeal, to prevent the premature closing of a coal mine on behalf of the coal mining client. Successfully represented the insured in obtaining partial summary judgment that the pollution exclusion contained in the excess insurer’s policy was ambiguous and, therefore, did not exclude coverage for the insured. Successfully represented family-owned real estate development company in remediating design and construction defects in a multi-million dollar mixed use, Class A property. Successfully defended a small closely held company accused by a multinational conglomerate of misappropriating alleged trade secrets. At trial, the conglomerate unsuccessfully sought to shut down the client's business operations. Successfully prosecuted to judgment a claim against a 50% shareholder of a close corporation alleged to have breached numerous fiduciary duties to the corporation and fellow shareholders. Successfully defended designers accused of breaches of fiduciary duties and unfair competition by a former employer. Successfully tried to judgment a contract claim against the State of Indiana for an amount in excess of $3 million. Successfully challenged to judgment the constitutionality of the City of Chicago’s liquid waste tax, which had imposed an annual financial burden in excess of $500,000 on the client, a publicly traded company. Thereafter, John worked with the City of Chicago and his client to draft and enact a new liquid waste ordinance that was not confiscatory. Successfully enjoined certain members of an art museum from assuming control of the museum and transferring its assets and artwork out of state. By virtue of a multi-party mediated settlement approved by the Court, the museum reconstituted its Board of Directors and its art will remain in Illinois well into the 21st Century. Successfully defended an employer corporation against multiple suits involving restrictive covenants. Successfully prosecuted a claim of cyber-squatting, resulting in the cyber-squatter removing the disputed Internet name. Successfully prosecuted a claim by a real estate developer alleging substantial construction and design defects in a new-construction multistory condominium building. Successfully defended a prominent bank involving flawed real estate surveys and development of real estate. Successfully represented a large law enforcement agency in a suit alleging a violation of civil rights for an inmate’s health care. Represents constitutional officers and law enforcement agencies relating to various civil right matters. Provides advice and counsel to employers regarding the efficacy of restrictive covenants, including nondisclosure provisions, nonsolicitation provisions, and covenants not to compete. Successfully defended and prosecuted employment cases including claims to enforce covenants not to compete, confidentiality agreements, and non-solicitation agreements. MEABF Participants and LABF Participants, et al., v. Municipal Employees’ Annuity and Benefit Fund of Chicago, et al. ; Supreme Court No. 122892 (Represented the Laborers Pension Fund before the Illinois Supreme Court). Illinois Competitive Energy Association v. Illinois Commerce Commission, et al., Supreme Court No. 118129 (Represented a regional retail energy association before the Illinois Supreme Court § and Illinois Appellate Court on an anti-competitive government sponsored energy project that threatened the retail energy market). Ernst, et al. v. City of Chicago, 1:08-cv-04370 (April 13, 2015) (First Chair Trial Attorney for the City of Chicago in jury trial and parallel bench trial in which the jury and the judge entered judgment in favor of the client). On December 17, 2015, John presented an ARDC professionalism seminar on attorney ethics entitled “Conflicts of Interest; Loyalty and Independent Judgment.” View the seminar here. On March 15, 2012, John was a featured speaker for the CBA Trust Law Seminar entitled, "Estate and Succession Planning for Private Business Owners and Ethical Considerations." On June 16, 2011, John presented a lecture entitled “Conflicts of Interest: Identifying and Resolving Conflicts” at an ARDC Professionalism Seminar: The Essentials of Ethical Practice. On April 28, 2011, John presented a lecture entitled “Appeals of Injunctive Relief” to an appellate lawyers seminar sponsored by the Appellate Lawyers Association. On February 18, 2011, John presented a lecture entitled “Direct Examination of an Expert Witness” at a seminar on expert witnesses sponsored by Pincus Professional Education. ARDC Professionalism Seminar: The Essentials of an Ethical Practice, presenter on "Conflicts of Interest: Identifying and Resolving Conflicts" (2010). Presentation on Rules of Professional Conduct, including Conflicts of Law with the Attorney Registration and Disciplinary Commission (2010). The Rights and Remedies of Shareholders in Closely Held Corporations Under Illinois Law, Loyola University of Chicago Law Journal (1998).